IWS really made this a smooth project, from working with the site civil engineer and completing the design, to constructing the system, and then doing the start-up. This was a complex project and needed creative thinking to provide a solution for the budget we had. IWS added value to the project and I would highly recommend them for future projects. 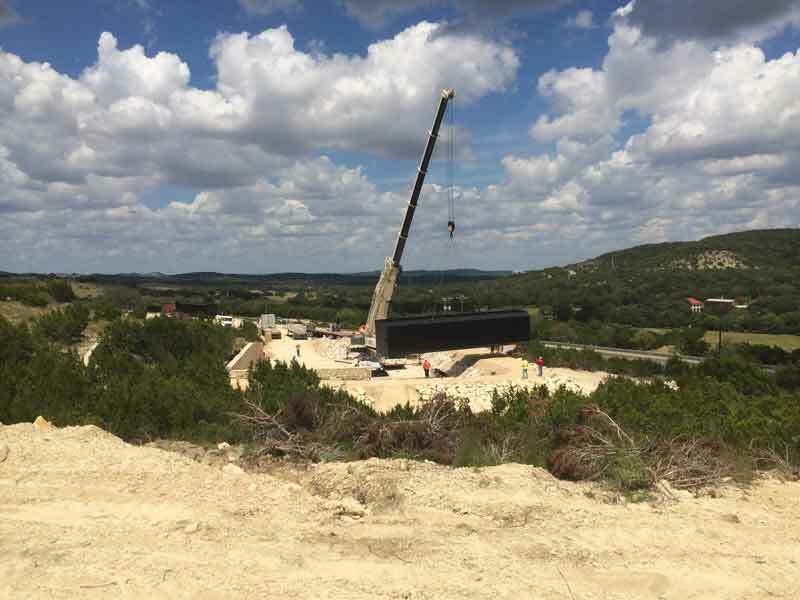 DESCRIPTION: Integrated Water Services, Inc. has completed the design, construction, and start-up of the wastewater treatment plant servicing the Lerin Hills Subdivision in Kendall County, Texas. The plant was designed to accommodate flows up to 110,000 gallons per day, with start-up turndown to 11,000 gallons per day. Once completed the plant will be taken over by Lerin Hills Utility District to own and operate on behalf of the subdivision. The design-build contract was competitively bid and IWS provided the competitive price while meeting the stringent TCEQ tertiary discharge limits of: BOD 5 mg/l; TSS 5 mg/l; Ammonia 1mg/l; and Phosphorous 0.5 mg/l. IWS worked with the treatment system vendor and owner to provide a treatment system that met the discharge requirements and also was within the owner’s budget for the project. The proposed wastewater treatment system consists of a complete mix activated sludge wastewater treatment system and tertiary filtration system. The treatment system is designed to be compatible with a Grinder Pump Force Main collection system that will transport sewage from the residential units to the treatment plant. IWS selected the Ashbrook (www.ashbrookcorp.com) package plant for the treatment system, along with their ISO disc cloth media filter for tertiary treatment. The complete package included: Aeration Chamber, Mechanical Clarifier, Sludge Holding Chamber/Aerobic Digester, One Iso-Disc Cloth Media Filter, Disinfection Equipment, and Post Aeration Tank and Pump System. In addition to the concrete pad and other site improvements, IWS was responsible for the start-up of the treatment system with Ashbrook. Abel Godines, the owner’s representative for LH Devco, Inc. was pleased with the project. “IWS really made this a smooth project, from working with the site civil engineer and completing the design, to constructing the system, and then doing the start-up. This was a complex project and needed creative thinking to provide a solution for the budget we had. IWS added value to the project and I would highly recommend them for future projects”.